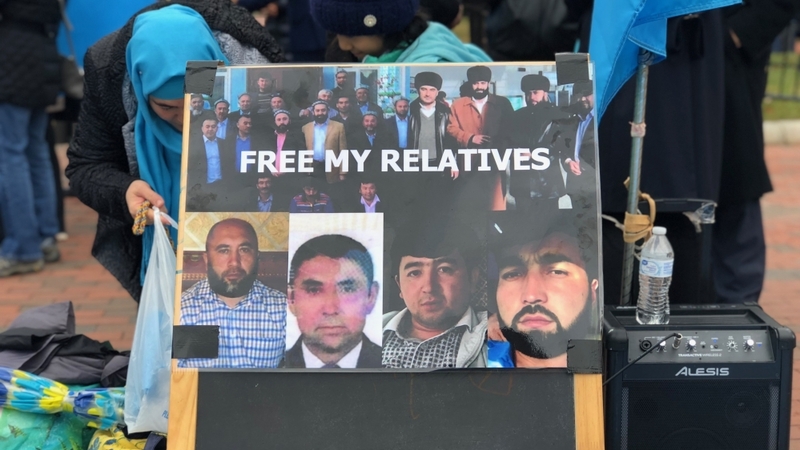 Washington, DC – Uighur activists in the US marked their community’s “independence day” with a protest and march in the US capital on Tuesday. 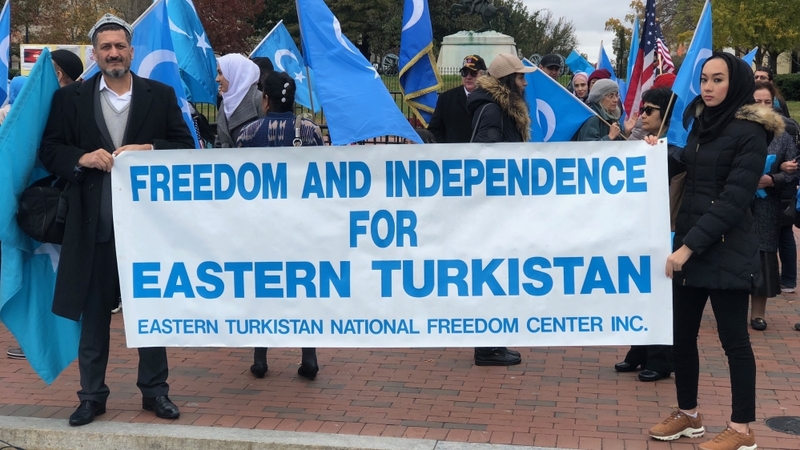 Those present at the event organised by the East Turkistan National Awakening Movement included Rebiya Kadeer, one of the world’s most prominent Uighur exiles and the former president of the World Uyghur Congress. China is also accused of forcing the Uighurs to renounce their Islamic beliefs and drop cultural markers that make them distinct from the country’s ethnic Han majority. American-Uighur Aydin Anwar told Al Jazeera that China was attempting to “wipe out” the Uighur identity. “My aunt’s husband has more than 70 relatives in camps and prisons, and one of them actually got killed through lethal injection in the camps. In the article, Zakir seeks to place China’s treatment of the Uighurs in line with the wider international “War on Terrorism”. “We’re asking politicians to take action in Congress, to not abandon us,” he said. Republican Senator Marco Rubio has also lobbied the US State Department to take action against China for its abuses the Uighurs and described Beijing’s behaviour as“sick”. Those present at the gathering said countries were reluctant to speak out due to China’s expansive economic impact. There was a particular anger targeted at Muslim states for their seemingly timid response to reports of China’s oppression of the Uighurs. American Muslim scholar, Omar Suleiman, described the Muslim world’s response to the Uighur’s plight as “complete abandonment”. “They’re ironically being tortured for being too Muslim by China while the Muslim world seems to not see them as Muslim enough to fight for,” he told Al Jazeera.